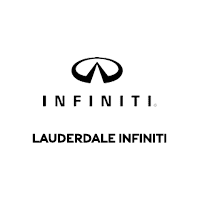 Located in the heart of Fort Lauderdale, Lauderdale INFINITI is every car buyer’s first choice when it comes to high-quality luxury vehicles. Lauderdale INFINITI is a proud member of the Holman Family of dealerships. Since 1924, we have made every effort to provide an exceptional experience to every one of our customers and we continue that tradition with the INFINITI Total Ownership Experience. Receive alternative transportation whenever your car is in service. Following every service appointment your vehicle will receive a complimentary wash. Our dedicated staff will provide you with all the information that you need in a 100% transparent environment. It is our goal to make your car buying experience easy and enjoyable so that the only thing you have to worry about is where you will go on your first road trip. Holman Automotive treats you and your family as if it were our family. Holman Automotive Group is a premier retailer of new and pre-owned Aston Martin, Audi, BMW, Bentley, Cadillac, Chevrolet, Ford, Honda, INFINITI, Land Rover, Lexus, Lincoln, MINI, Porsche, Rolls-Royce, Toyota and Volkswagen vehicles. Since 1924, our dedicated sales and service staff have made our customer’s auto ownership experience truly exceptional. The Holman organization recently asked employees to help define the unique culture that exists throughout the company. The response was overwhelming…nearly 1,000 submissions in all different forms from Holman dealerships, Steward Financial Services, ARI, Holman Parts Distribution, and Auto Truck Group. We created a video based on our people’s thoughts to share with our customers what it’s like to be part of the Holman family of businesses!